On the job, a pharmacy tech will want to know as many of the Top 200 drugs for 2017 and their primary FDA approved uses as possible. If you're working in a pharmacy, an internship, on the job training, or a pharmacy technician school (i.e. - Community college, Penn Foster, Allied, etc.) you should follow what your program requires. 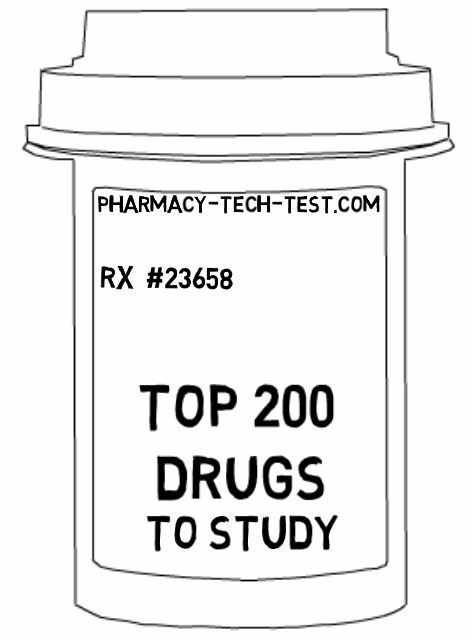 But typically, memorizing the Top 100 or Top 200 drugs list is recommended. Either way, first refer to your program's list. One of the best ways to compliment studying the top drugs is to be aware of the top drug's generic name suffixes. This Top 200 drugs to memorize list is current for 2017 and is based on previous years total prescriptions by volume dispensed. It is loosely translated from a top 200 list of drugs dispensed. However, modified because certain drugs have been omitted, mainly because they would not likely be included on the pharmacy tech test.